HO Kits sold out. Discontinued, however, special orders for bulk purchases might be possible. Contact me if you want more. Used by the Southern RR and C&O Railway, these signal bridges controlled traffic on many of the main lines. 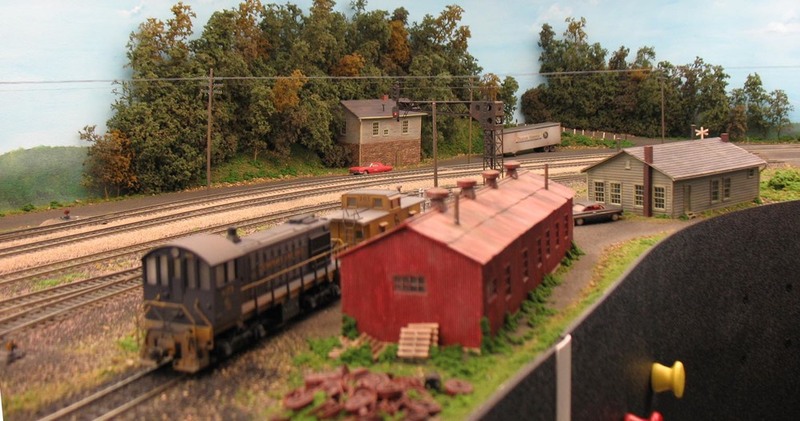 We offer the small and large style signal bridge in N scale and the large style in HO scale. 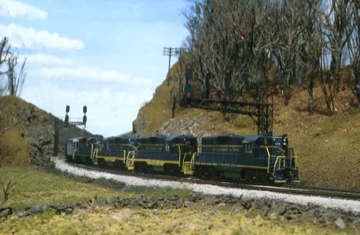 The N Scale kits include improved brass tooling and laser cut acrylic pedestals. The models are made with photo etched brass. You can download a color copy of the instructions here. The kits can be soldered or assembled with CAA glue. No signal lights are provided in the kit. The N Scale model comes with several etched brass targets without hoods.